It is that time of year again – Coke Bottle Santas ! 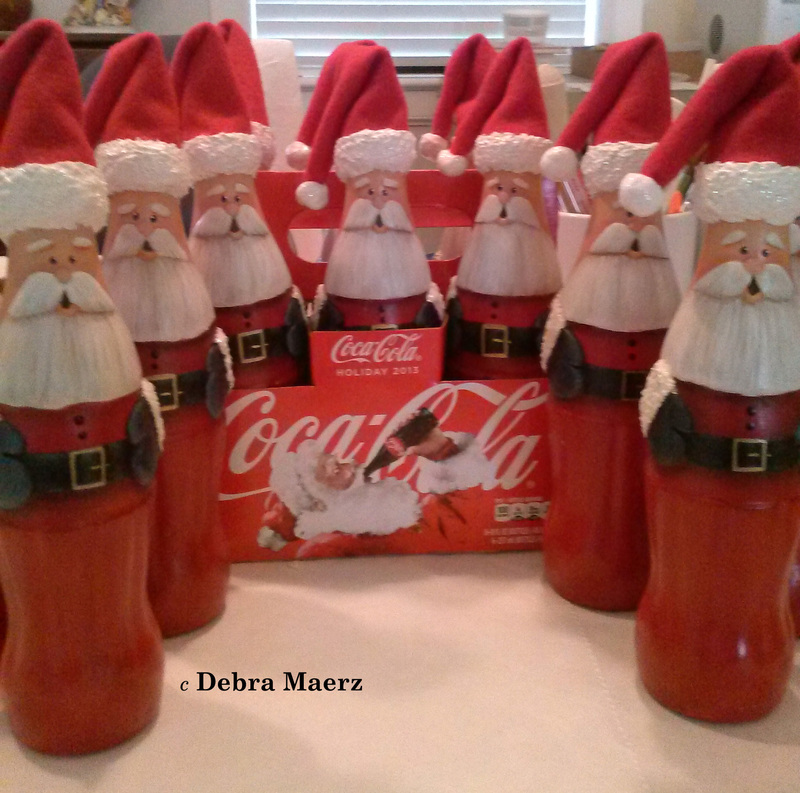 This entry was posted in Christmas and tagged Christmas, Christmas Ornaments, Coke Bottle, Santa Coke Bottle by Debra Maerz. Bookmark the permalink. Thanks Marcia and Mike !! My husband thinks your Coke bottles need to be shown in the Coca-Cola magazine! Of course we are both fans. They look so real!